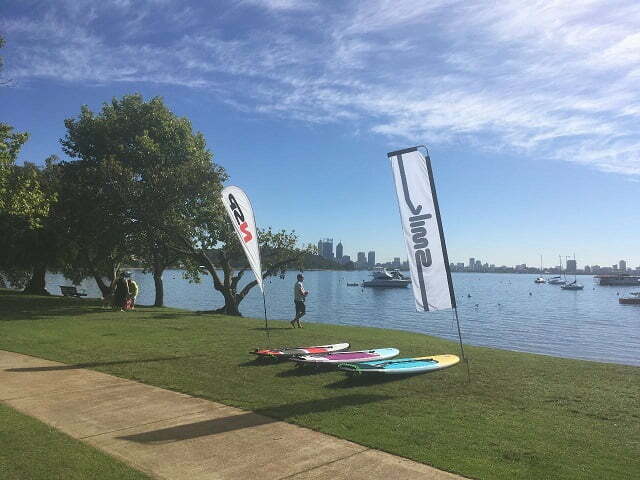 Board Hire is ideal for people wanting to try SUP at their own pace or just want to go for a paddle on the beautiful Swan River. You can also use the opportunity to trial other more advanced products. Please don’t forget to – slip on a rashy, slop on some sunscreen slap on a hat and preferably hydrate before hand. If you’re a non-swimmer, we will provide you with a life vest. 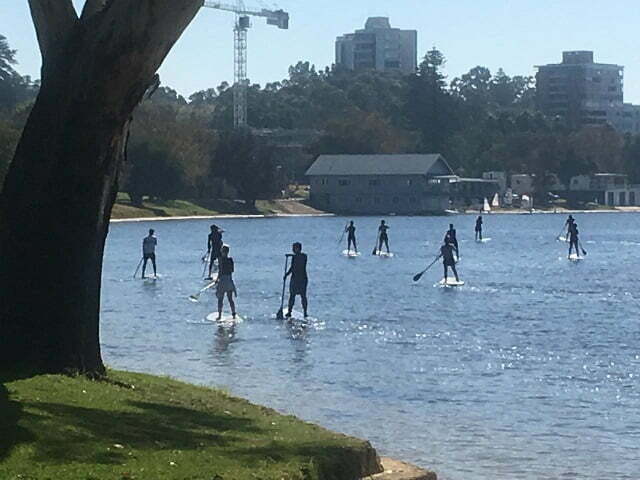 SUP Central WA operates from various locations on the Swan River, central to Perth CBD, that are best protected from prevailing breezes. Our most regular hire location is Matilda Bay, Hackett Drive car park, Crawley WA. Please check our Facebook page for updates on current location or contact us. Board hire available from 1-8 hours. Book 2 or more hours to receive our best rate. Stand Up Paddle Boarding is a fun and affordable activity for the whole family! Full safety briefing provided. Paddle and leash included. 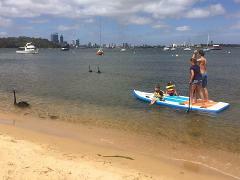 Organise a group, get our best rate and enjoy the beautiful Swan River. Stand Up Paddle Boarding is a fun and affordable activity for the whole family! Full safety briefing provided. Paddle and leash included. With our Super SUP you and your family/friends are guaranteed to have a blast. Stand Up Paddle Boarding is a fun and affordable activity for the whole family! Full safety briefing provided. 4 paddles included.